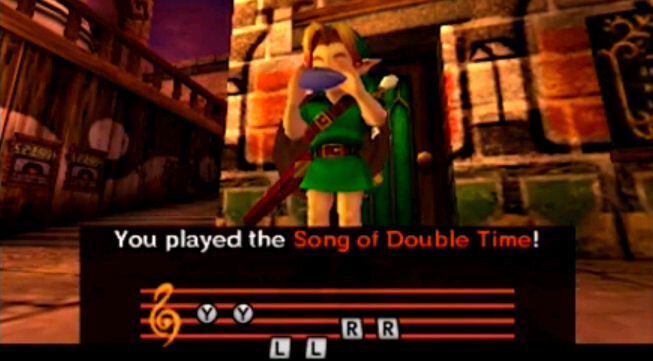 In the revamped Nintendo 3DS version of Majora’s Mask 3D, one of the changes that has been revealed involves the Song of Double Time. 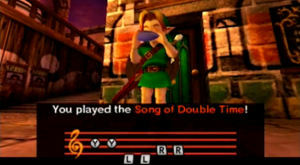 Previously in the Nintendo 64 version of the game, this song allowed Link to skip ahead up to 12-hours into the future, however, it would always be at dawn or dusk of the next day, and also, he was unable to play the song in the final 12 hours. This has changed in the Nintendo 3DS version and now after you play the song, you’ll be able to specify exactly what hour of the day you’d like to move forward to. This will surely make side-questing a lot more efficient, as well as reduce the need to play the song multiple times. Make the jump to check out this new ability in action. Jump to around 2:09 to hear about the changes to the song.